Most of us, I expect, are a little exhausted. In the two weeks since we were last together, a lot has happened. Many of us, I’m sure, have done some wrestling with God. Right? Thankfully, we were spared from the worst, even though I know a number of you experienced some damage from Irma. Our prayers must continue to be offered, as well as help, to those who experienced the full wrath of that hurricane. Today, we’re going to look at a story about someone else who wrestled with God. Two weeks ago we learned that Jacob and his father-in-law, Laban, made a covenant with each other and went their separate ways. Jacob and his extended family and their herds are now heading back to his home turf in Canaan. He has another uncomfortable meeting ahead, with his brother Esau, the one he’d cheated twice. When Jacob was last in Canaan, Esau was furious and Jacob had to run away as quick as possible. He was empty handed, not having time to pack, Now he’s returning a rich man, with a dozen kids, servants and slaves, and a host of animals. 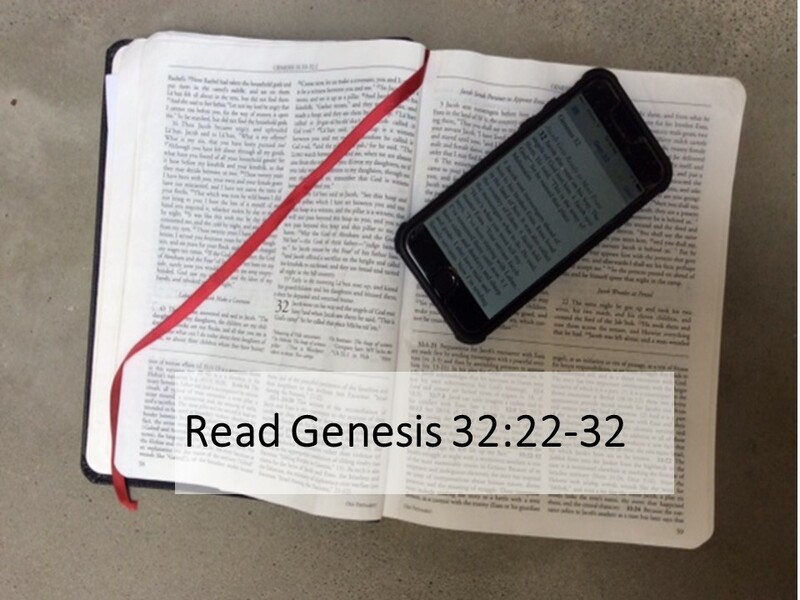 Despite his wealth, this meeting with his brother weighs heavy on Jacob’s mind as we see in the opening verses of the 32 chapter of Genesis. Of course, it wasn’t just Jacob’s idea to return to his homeland. God had told him it was time. In preparation for this encounter with Esau, Jacob sends messengers ahead to inform his brother that he’s coming. The messengers come back and tell Jacob that Esau is coming to meet him, and bringing with him 400 warriors. Jacob may be rich, but he doesn’t have an army, so he is now even more afraid. He prays to God, humbling himself and confessing his fear that his brother is going to wring his neck. And then Jacob makes preparations. He’s willing to offer a significant portion of his wealth, dividing out livestock and sending groups ahead as an offering to Esau. He hopes that with enough livestock, he can appease his brother’s anger. At this point, Jacob stays behind with Rachel and Leah and two servants. Read Genesis 32:22-32. I expect Jacob felt a bit like that turtle after his night of wrestling. Was it an angel? Was it a man? Or was it God? Whatever, Hulk Hugan and crowd never had anything on Jacob. He wrestles all night and in the morning is a changed man. Lots of things happen at night. Sometimes we do things at night because we don’t want to be seen, like Nicodemus coming to Jesus. Other times things happen because when we lay down to rest, our minds are free to wander and things we’re able to keep tucked away when we’re busy come out. Was this what happened to Jacob? Jacob had a lot of stuff pinned up in his psyche. He was a con artist. He cheated his brother, his father, and even his father-in-law, who’d also cheated him. And now Jacob’s worried about what it’s going to be like when meets his brother. Esau is coming and he’s in command of 400 men. That’s enough to cause most of us to lose sleep. Jacob has made plans. He’s sending gifts ahead. He sends his family ahead, even his beloved Rachel. He alone remains safely on the opposite bank of the Jabbok River. In the Hebrew text, one can recognize a word play here, between Jabbok and wrestle. Jacob, who thinks he is on the safe side of this river, is disturbed. He assumes he’s safe and will be able to catch a good night sleep, but that’s not the case. Our text leaves more questions to ponder than it provides answers. First of all, we’re told that Jacob was alone, yet there was a man there who wrestled with him. The wrestling match goes on till dawn. Then the man asks to be released for dawn is approaching. Is he a ghost or a vampire that must be safely in the dark before the dawn? And why, when Jacob gives him his name, does the man not identity himself? And why does Jacob ask for his blessing? If he’d been a man looking to rob Jacob or harm him, would he’d asked for a blessing? We don’t really have a clue as to who this mysterious wrestler was until we hear Jacob’s response as the sun rises and the mysterious stranger departs. Jacob realizes he’s been wrestling with God. Take that, Hulk and Sgt. Slaughter, Hercules Hernandez, Jake the Snake, the Wild Samoans and all you other fake wrestlers. Jacob is wrestling with the deity, the Almighty, with the Creator. That’s pretty bad! That’s a wrestling match that is sure to sell out! I might even pay to see it. But then, don’t we all wrestle with God. I know I have. Should I go to seminary? Should I take this call? Why did I do that? What will be the repercussions? Should I apology? We’ve all be there. And then, a week ago, it was sleepless nights wrestling with the unknown. What’s going to happen with this storm? There have been many nights I’ve laid in bed wondering, wrestling. My body is exhausted but my mind remains wide-awake. I’m sure many of you have experienced similar restless nights. At times these have gone on night after night. But sooner or later there is a resolution. For Jacob, it came in the morning when the sun rises and its rays reflect off the rippling waters of the Jabbok. 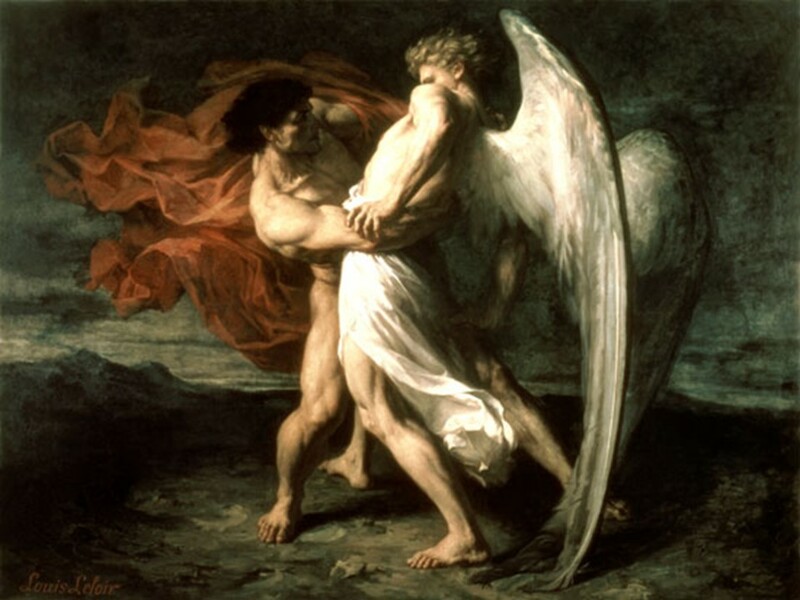 Why is it that most artists depict Jacob wrestling with an angel? The text refers to his opponent as a man and then, in the morning light, Jacob understands that was God. An incarnation? I don’t know? 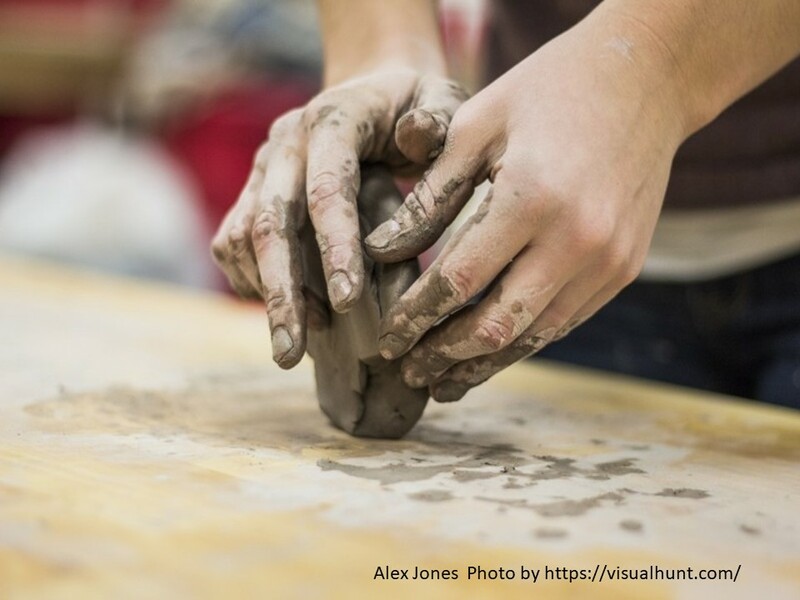 Perhaps artists want to protect God’s dignity. What kind of God would want to get dirty in the mud by the river? Well, maybe the type of God who crafted Adam out of the dirt and who came to us as Jesus. That’s good news! God seems to have a fondness for us. Even Jacob, who had done much in his life to earn condemnation, learns that God is with him. 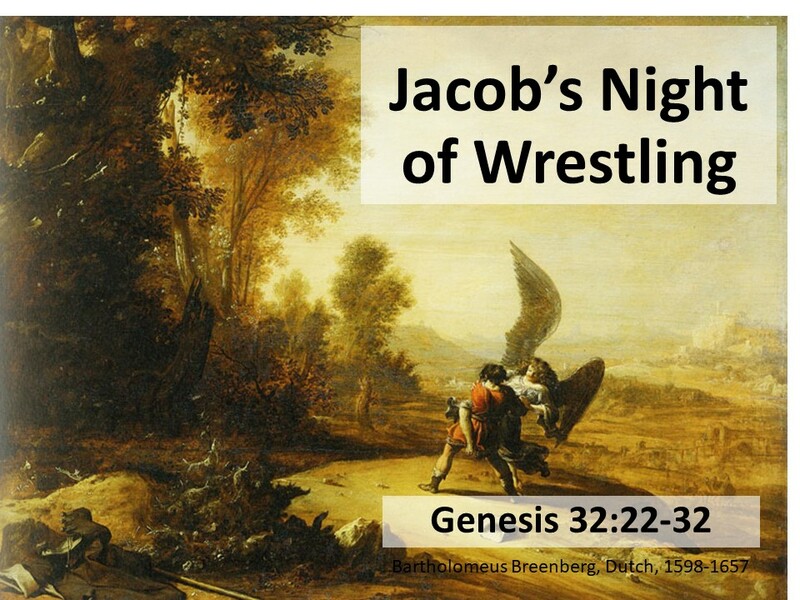 Of course, we ponder, if it really was God with whom Jacob wrestled, why he wasn’t smashed to smithereens? Certainly, if God wanted to do in Jacob, a simple lightning bolt would have sufficed. But God has other plans for Jacob just as in our own wrestling with God, there may be something God is calling us to do. Or maybe there is something in our lives that God wants us to change. God’s wrestling isn’t to destroy us but to change us! In Jacob’s case, he’s asked his name. “It’s Jacob,” he says. By giving his name, which means “cheater,” Jacob confesses to God what his life has been about. It’s been about him getting what he could from others. Then Jacob receives a blessing from the one whose blessings makes all the difference in the world. And he’s given a new name. In God’s eyes, Jacob will no longer be “the cheat.” Instead his new name, Israel, implies “God will rule.” God is in control of even Jacob’s life. 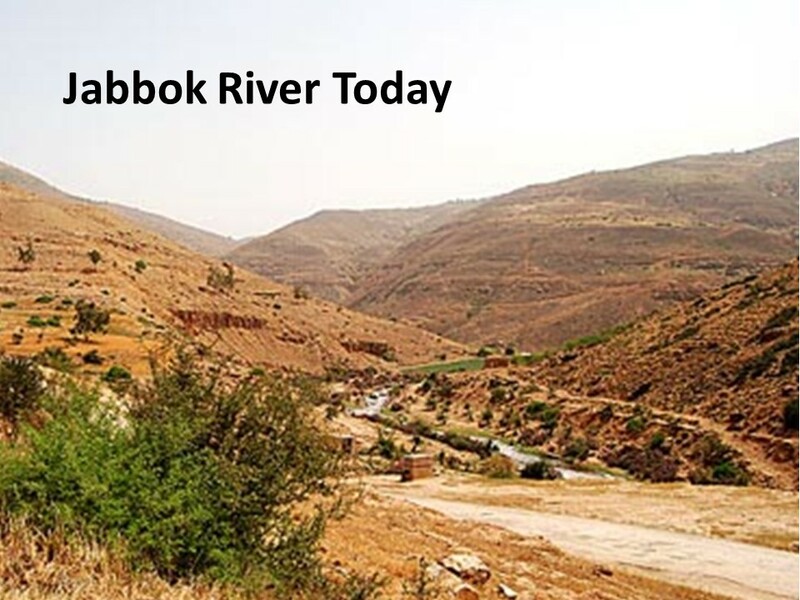 Jacob has been changed as is seen in the morning when he fords the river, limping. He’s battled with God and has survived and so has the promise that has been made to his father Isaac and his grandfather Abraham. There will, from him, be a great nation. The good news in our text for this morning is that God is willing to get down and dirty with us in order to save us. That’s what happened when God came as Jesus. When we struggle in life, we can be assured that God is there beside us, struggling along with us. Even when we struggle with God, God is with us, not to blot us from existence, but to love us and guide us. This is the type of God with whom we, like Jacob, can be honest. After all, this is a God who knows all, yet wants our honesty. This is why Jacob is asked his name. 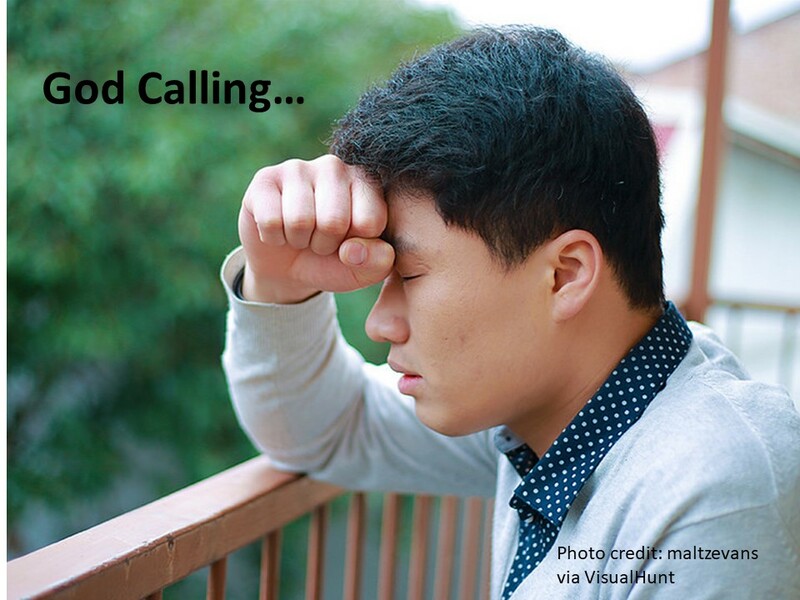 God wants us to confess our failures and our sins. This is the type of God who, through Jesus Christ, offers us a new beginning, a new life, a new birth. Through Christ, God calls us back into a relationship with him. Won’t you answer the call? You may be changed, as was Jacob, who limped along praising God. God touched him in a way that changed him. Are you willing to risk letting God touch you? Amen. 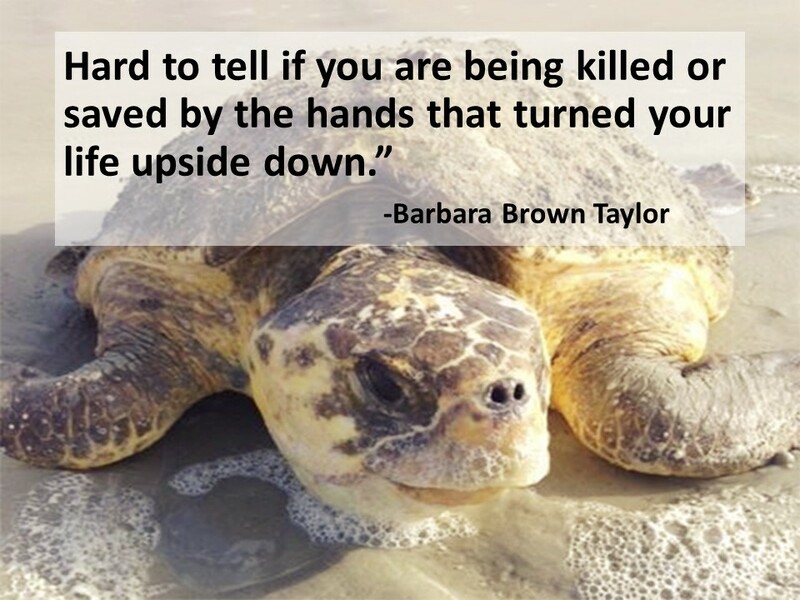 Barbara Brown Taylor, Learning to Walk in the Dark (New York: HarperOne, 2014), 66-67. Gerhard Von Rad, Genesis, revised edition (1961, Philadelphia: Westminster, 1972), 321-322. An outstanding message, one we all need to hear and contemplate.